PREMIUM PLASTIC BASKETBALL SET FOR SPORT, PLAY AND TEAM SPIRIT - One of the greatest gifts you can give your kid is a the gift of Team fandom. 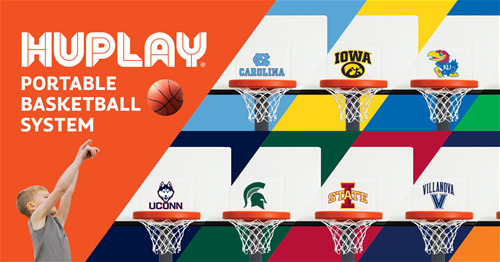 Now you can pass along your Collegiate Spirit with a branded Huplay Team hoop. It's a fantastic way to nuture the next generation of fans. One of the greatest gifts you can give your kid is the gift of fandom. 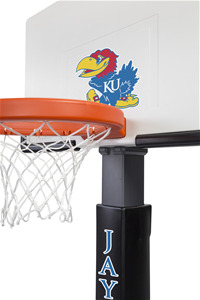 Now you can pass on your Collegiate Spirit with a branded Huplay Team Hoop. It’s a fantastic way to rep your favorite Team, and nurture the next generation of fans. And because it’s a Huplay Hoop, it will last as long as your little baller wants to ball. It's never too early to have a favorite Team!